Due to government regulations, in recent years oil manufacturers have removed the Zinc and many other additives from their motor oils. Using one of these "off-the-shelf" brands of oil during the critical break-in process can lead to a failure. Thus, COMP Cams Engine Break-In Oil and Additive are designed to extend the durability of internal engine components including camshafts, valve train components and all moving parts in your new or rebuilt engine. They do so by using a special blend of extreme pressure additives no longer available in "off-the-shelf" motor oils. 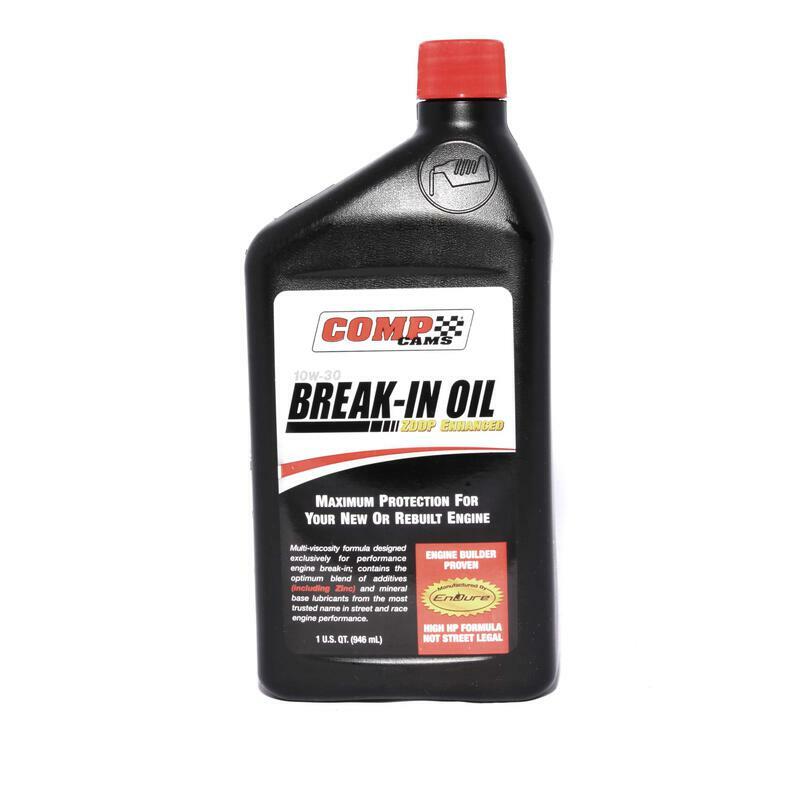 COMP Cams Engine Break-In Oil provides added protection during the break-in process and is compatible with any petroleum, synthetic or blended motor oil.